With the NBA Trade Deadline approaching quickly, the Cleveland Cavaliers are shopping around to see what they can do to improve their squad. Thursday afternoon is only days away though, which means Cleveland will have to accelerate the process to strike a deal or two. 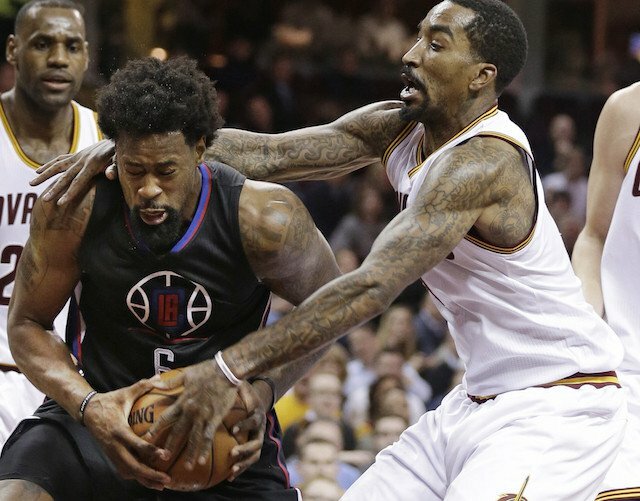 Today the big headline for Cleveland is the never-ending chronicles of trade talks for the Los Angeles Clippers’ DeAndre Jordan. The big man is a coveted asset simply because he’s a presence down inside the paint and secures an abundance of rebounds. Jordan is averaging 14.9 rebounds per contest and also sprinkles in 11 points a night. While Jordan is talented in those areas, it’s also worth noting how limited his shot is and his ineffectiveness at the free-throw line. Those are some of the things that make trading for Jordan tricky, as his asking price is anywhere from a high draft pick to a legitimate starter. The Cavs have tried their hand at acquiring him but the deal might need a few renditions before the Clippers are willing to accept an offer. Below is the latest offer from the Cavs which has reportedly been declined for the time being. It’s interesting that the Cavs are only choosing to try to land Jordan in a deal with Los Angeles. Sharpshooting guard Lou Williams was originally discussed as another guy Los Angeles would part with. We’ll see if Cleveland can land DJ and maybe another player before Thursday’s deadline.